If you are doing a disavowal for a site, Google is recommending that you start looking at the URLs that Google is showing in the links section of Google Search Console. While we do know that the list of links showing Google Search Console isn’t a full list of links, it often can show links that are either the most important or what some see as being the most problematic. Regardless, links shown in Google Search Console are certainly the links that Google knows about. So this makes sense that these are the first links you want to focus on when it comes to disavowing low-quality links. John Mueller from Google discussed this in the last Google Webmaster office hours when asked if it was enough to simply disavow links shown within Search Console. 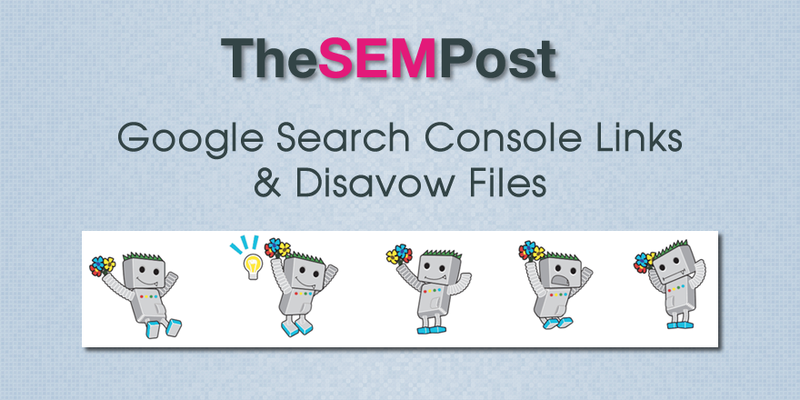 With regards to is it enough to disavow just the ones shown in Search Console or not, in general, those are the ones that I would focus on. Sometimes if you’re aware of link building that was done in a significant way, then the Search Console links can give you an idea of the general pattern and then it’s still worth looking to see if there are more links that you can also include there. But for the most part, the data that’s shown in Search Console is really kind of links that you should be focusing on. And this should be pretty similar across the new and the old Search Console. As Meuller says, if you are cleaning up from a manual action where you know what links were bought or obtained in violation of the Google Webmaster guidelines, you can just disavow all of those links, regardless of Google showing them in Search Console are not, because again those links are not all the links that Google knows about.